Roy’s a big guy. Well over six foot and keeps in shape, though perhaps not as much as he should since he has the beginnings of a beer gut that could get out of hand pretty quickly. When he considers himself on the job, which is most of the time, he wears a second hand suit. He generally loses the tie if he can get away with it. He’s always clean shaven, and has a small, faded scar on the left side of his jaw. He keeps his sand-blond hair cut short, but doesn’t usually bother with gel or combing, most of the time you can count on him to be wearing a hat and coat and carrying a gun. (2) Lightning flows in arcs of electrical current. (2) Lightning takes the most direct route, with unstoppable force. (1) Lightning symbolises inspiration and invention. (1) Lightning is to divinity as crowns are to kings. 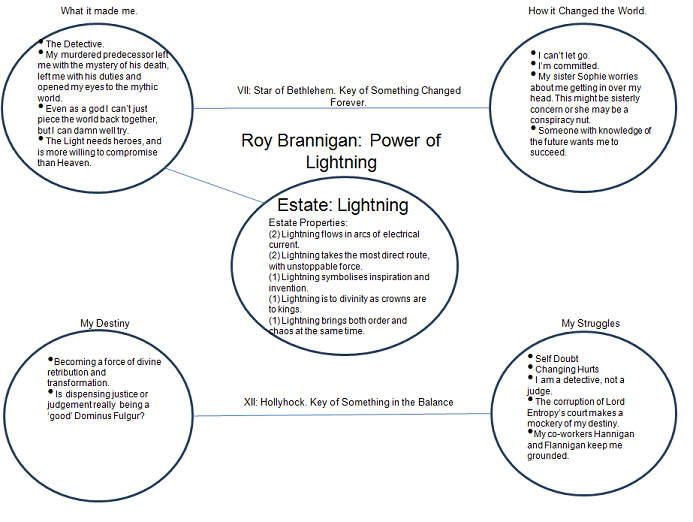 (1) Lightning throws order and chaos out of balance. (2) Hardboiled detectives solve mysteries. (2) Hardboiled detectives walk the mean streets, but are not themselves mean. (1) Hardboiled detectives have a rough wit, and a bottomless supply of cynicism. (1) Hardboiled detectives may break the law, but have got to have a code. 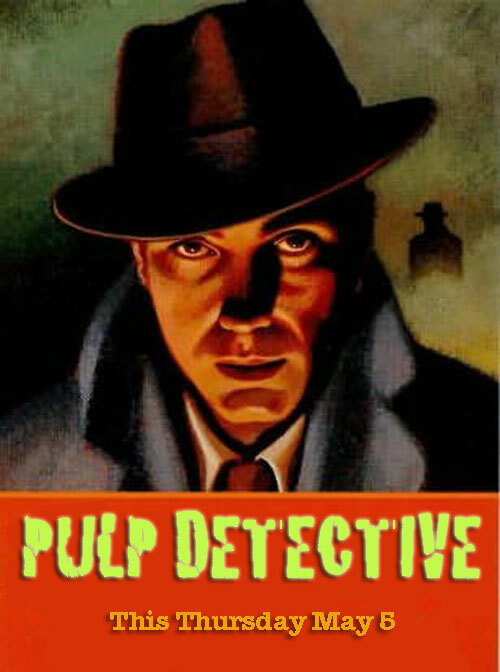 (1) A hardboiled detective must be a common man and yet an unusual man. Keys: Star of Bethlehem. Hollyhock.